Over the past few decades, the seminar business has become quite big because the demand is high. 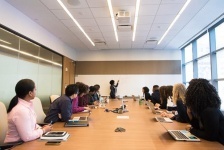 The demand for seminars is not only important with some consumers, it has also become in demand by small businesses and giant corporations alike. As a small business owner, you might be able to get in the game to show off your skills and the skills of those around you. Conducting seminars could result in additional income for your business – because there are hundreds of thousands of people paying to attend meetings, seminars, workshops and training programs every year. Some of these people are sent to these types of events by their employer, while others attend them for personal growth and knowledge. There are thousands of topics being taught each year – from sales and management techniques to managing stress and building financial growth. When you are setting up your seminar series, you need to decide what style of platform you want to use. Do you want to be the presenter/trainer, or do you want to facilitate seminars using other experts that you bring in. Either way, you can always choose to change it up for your intended audience. Before you start planning your topics or themes of your seminars, training sessions or workshops, you need to be sure that you are prepared for the hard work and advanced planning that it takes to plan a successful event. Some people have it, some people don’t! It takes lots of foresight to figure out what will be a winning seminar program. You want to be able to design and construct it so it will attract interest, and then to be able to promote it effectively. If you are planning to be the presenter at your events, you need to be naturally enthusiastic and confident about the material you are presenting. If you are shy when speaking in public, or people became bored when you have presented in the past, you might want to take some classes on how to conduct seminars. If you talk to successful public speakers, they will tell you that you should never lose your fear of speaking in public. Rather, you should embrace it to help you get better. One of the first steps in starting a series of seminars is to do some homework by establishing your target market and making sure that there is a demand for what your topics will be. You could have a great topic and a great presentation, but if you are not targeting the right audience or have a topic that participants want to learn about, you will not fill the seats. Sometimes you have to alter your topic or training session to fit the needs of your target audience – because they are the ones who are paying you to teach them something new. If you have a seminar program that attracts individual businesses for private seminars or training sessions, that could be your niche. Many businesses today no longer do their own training sessions, team building seminars or motivational seminars for their employees, because it is more cost effective to hire outside help. This is mainly due to the costs of developing these types of meetings and seminars in-house. Another factor behind businesses not choosing to do these events in-house is because they do not have the facilities to hold them (and even if they did, the seminar or training session could be interrupted by everyday work). Besides, why would a business want to have internal facilities for training sessions that only get used on a few occasions? Part of your job as a facilitator for seminars and training sessions is to have an upscale, go-to seminar location. There are plenty of places you could hold your seminars, but the more professional the environment, the better. 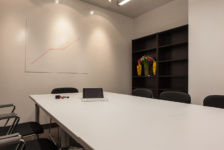 This is where seminar/training rooms at office business centres can be ideal for your sessions. Because office business centres are set up for all your needs, this means that you have less to do. Once you start using the same facility for your seminars, you will learn more about the additional benefits that an office business centre can offer you in terms of add-on services and last-minute preparations. The most important thing to remember is that you need to become the go-to expert on the topics you present. You can tailor your content based on the industry that your audience is from, but your basic techniques are your foundation. Finally, what is the best way create a seminar series? You break your sessions down into different skill levels. For example, you can have a basic or entry-level session, a ‘level-2 session’ and an advanced session. Having these degrees not only allows you to sell multiple sessions, but it allows your audience to apply what they learned from the first session and come back with feedback and questions for the next level. This is especially helpful if you are training attendees on using software applications.